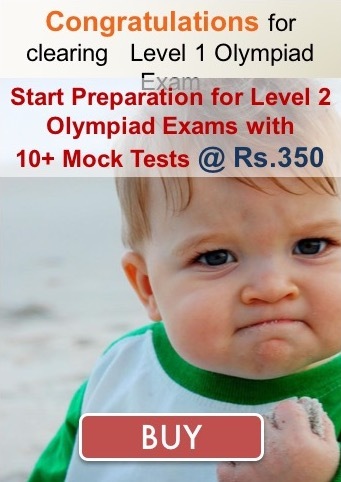 We help students of class 2 to 10 in preparation of NSTSE exam and courses through sample question and practice papers. NSTSE is a diagnostic test which helps students improves their overall learning ability and educational performance. Unlike other tests which generally only find out how much a student has memorised, NSTSE measures how well a student has understood the foundation of concept and provides a detailed feedback regarding it, to help him/her improve. Thus NSTSE helps each student to know early, where exactly are the problems. Students get to know as to in which concepts they are lacking so that some immediate steps can be taken to correct or understand the concepts properly. * Duration of the examination for all classes 90 minutes. The exam will be held on 7th & 16th December 2018. The paper has very interesting questions that requires deep thinking. It provides detailed assessment highlighting their strengths and weaknesses. Provides a skill-wise report of the student's performance and his/her peers. The syllabus is as per CBSE & ICSE curriculum.